BallyCara HomeCare also offers privately funded platforms of care and support personalised to suit your individual circumstances and requirements. Our BallyCara Private Services allow you the choice, control and flexibility to maintain your independence and preferred lifestyle. Unlike our BallyCara HomeCare Packages and Commonwealth Home Support Program, Private Services require no Government eligibility to receive this option of services in your home. Our BallyCara Private Services are personalised to your individual needs and requirements and can provide services for as long or as little as needed. Private Services could also be an option for you if you are on the waiting list to receive a HomeCare Package and aren’t eligible to receive a Commonwealth Home Support Program Package. 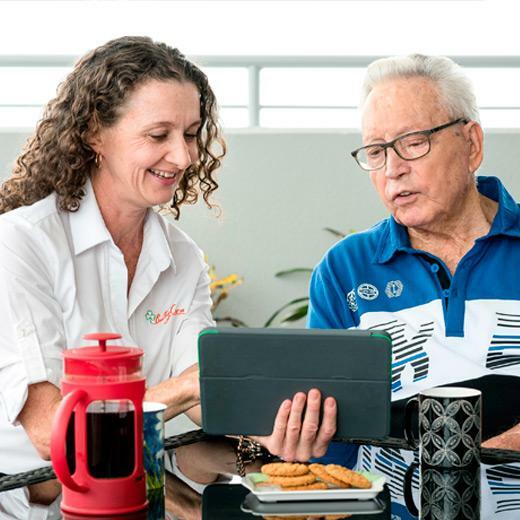 Our BallyCara staff are here to answer any questions you may have and to assist with setting up a personalised private service package that doesn’t require you to have an Aged Care Assessment.